Looking to get in contact with a City of Decatur department? Just curious how your municipal government works? 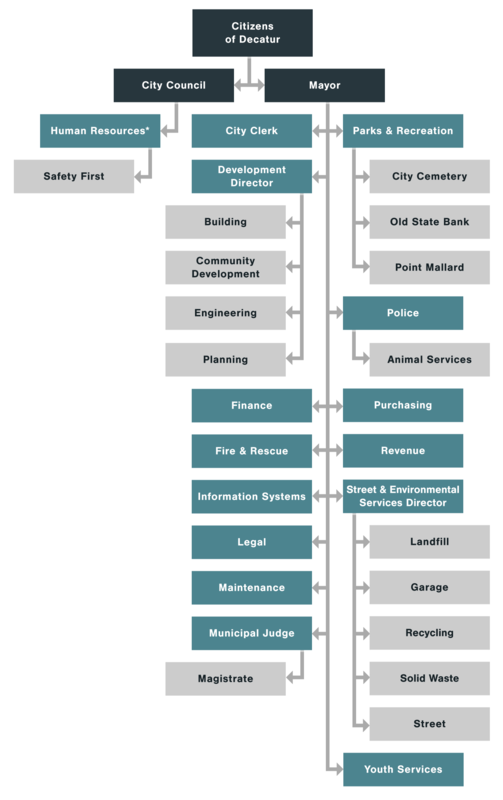 This chart explains how our city’s infrastructure is organized. *Human Relations Department works independently and answers to the Human Relations Board whose members are appointed by the City Council.